One of the key elements in the rubber molding equation is the Molding Methodology. MOCAP CMG’s experienced technical specialists will advise on the optimum manufacturing path to suit the product, its performance, size, price and required volume. Most appropriate when high quality has to match high volume, injection molding provides a virtual flash-free finish, eliminating the need for secondary trim work. Offers lower tooling and set-up costs for manufacturers seeking short runs or prototypes. Other benefits include larger cavity density and reduced waste. More accurate than compression, thus reducing reject rates on small to medium runs of precision parts. Additional benefits include shorter cure times and reduced labor. The process of placing an object, or insert, into the mold cavity and forming rubber around it..
MOCAP CMG applies its extensive experience and superior service to ensure every rubber molding project produces the quality parts you need. We mold a wide variety of elatomers including Silicone, EPDM, Viton and Neoprene. 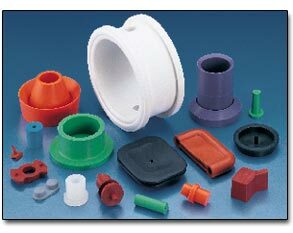 Our rubber molding experts can help you in selecting the best rubber material for your application.